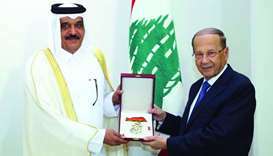 Lebanese President Michel Aoun met with the ambassador of Qatar to Lebanon, Ali bin Hamad al-Marri, on the occasion of the end his term of office in Beirut on Friday. 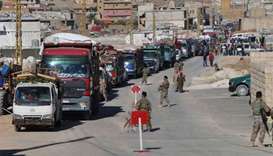 In Lebanon's eastern border town of Arsal, men, women and children of all ages piled into cars, minivans and tractors. Hezbollah will work with the Syrian state and Lebanon's General Security agency to help return Syrian refugees who want to go back home, its leader said on Friday, a project that critics see as premature in the absence of a peace deal. 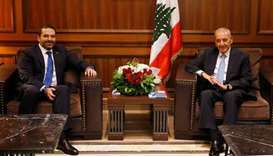 Lebanon's Prime Minister-designate Saad al-Hariri said on Friday he was very close to forming a new government and would hold more talks with the country's main parties. 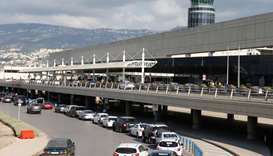 Lebanese ministers will review a security agency's decision to allow Iranians to enter at the airport without having their passports stamped, an interior ministry source said on Tuesday. 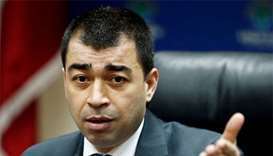 Energy and Water Minister Cesar Abi Khalil also said in a televised statement that Lebanon hoped to launch a second offshore licensing round by the end of 2018 or early 2019. 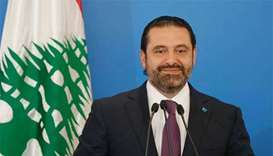 Saad al-Hariri was speaking after meetings with lawmakers over the make-up of the new coalition to be formed after a May 6 parliamentary election. 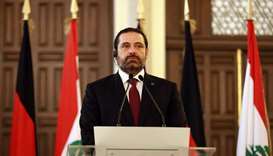 In a post-election speech last week Hariri said the party had been expecting a better result and there had been "gaps" in how it conducted its campaign, for which people would be held responsible. 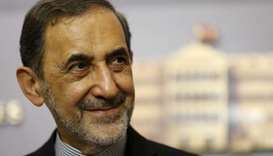 A senior Iranian official on Tuesday hailed the "victory" of Hezbollah in Lebanese elections as a success in the "fight against Israel" and the United States, the state broadcaster reported. 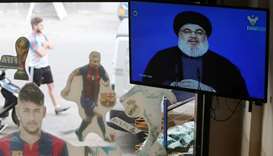 The prime minister admitted that he had hoped for a stronger showing but said he remained happy with the result, which contrasts with the expected gains made by the rival camp led by the Hezbollah group. Voters queued at polling stations across Lebanon on Sunday to take part in its first general election in nine years - an event seen as important for economic stability but unlikely to upset the overall balance of power. Lebanese began voting on Sunday in their first general election for nine years, one that is seen as unlikely to upend the country's basic contours of power but is important for economic stability.